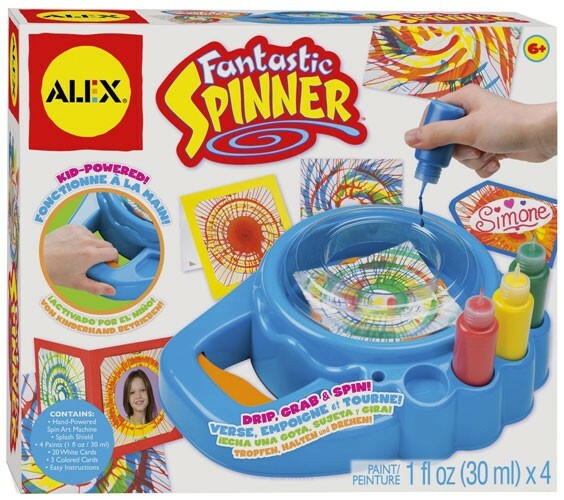 Rev up and make spintacular works of art with the Fantastic Spinner from Alex! 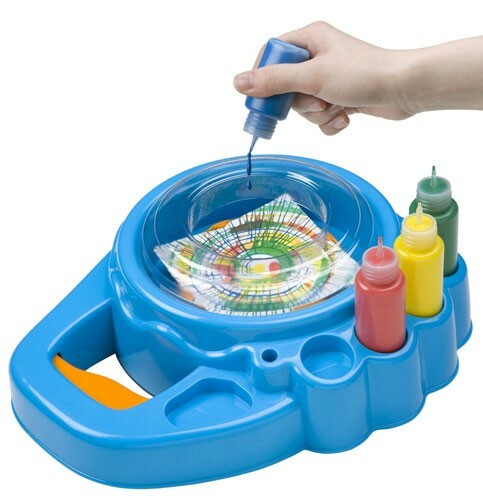 This art spinner requires no batteries -- just squeeze the handle a few times to bring the spinner plate up to speed and drip the paint to create unique art pieces. Make framed cards to give to your friends with the included precut colored cards. 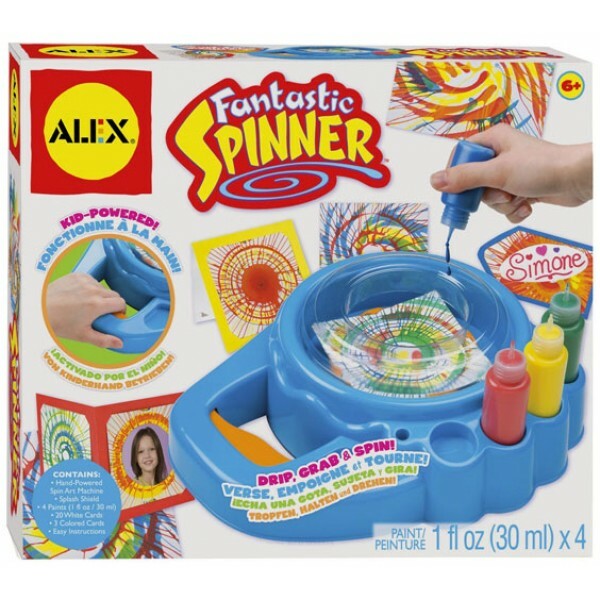 The set includes the machine, four 40mL bottles of paint, 20 spin paper cards, 3 colored cards, a splash shield, and easy instructions.